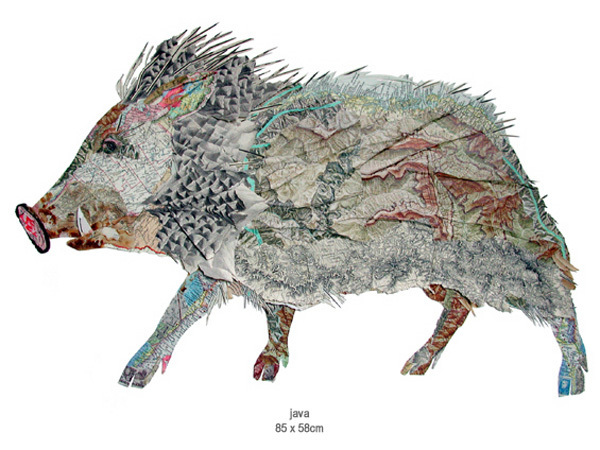 A long time collector of ‘things’, English artist Peter Clark uses old stamps, maps, love letters, labels, buttons, sewing patterns, and more that he has collected, to create his somewhat three dimensional collages. He starts by drawing the outline in felt tip and then carefully selects from his paper and fabric stash for the right materials, as well as colors, to define tonal effects and other features in his art objects. 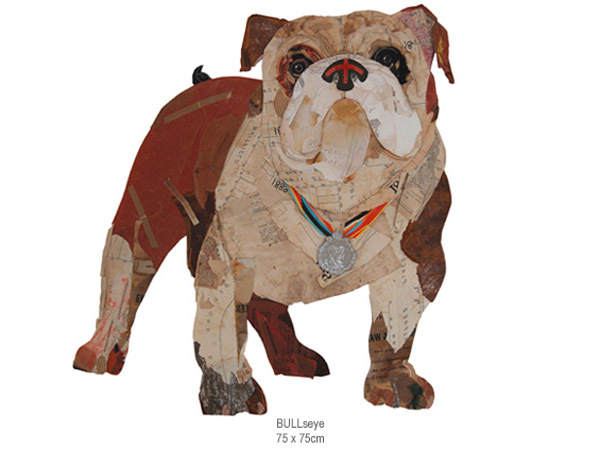 Though he has a large array of dog collages, he does also make works based on other animals, objects, faces, and garments too. This entry was posted in Art, Fun, Graphic Design, Pop Culture. Bookmark the permalink.